Keep boredom at bay by spending your free time firing the Kobra-1 foam dart blaster. 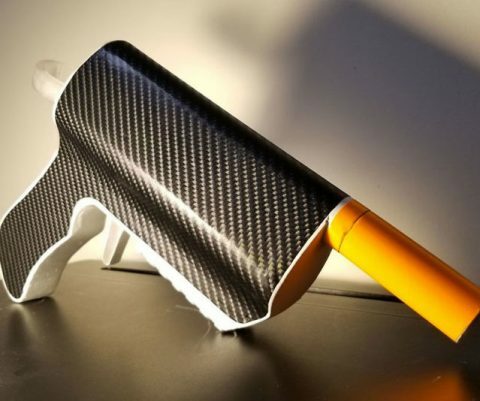 This cross between a dart gun and paintball gun can fire 3 NERF sized darts in quick succession at skin-tearing speeds of 130 feet per second. 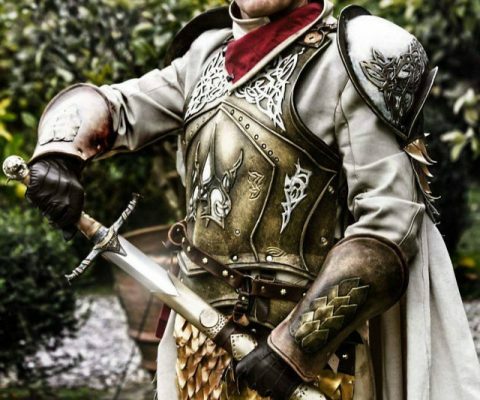 Become the living embodiment of the Kingslayer – minus the chopped off hand – by dressing up in this Jamie Lannister cosplay armor. It’s skillfully crafted from high density EVA foam and is accented with real leather scales for a convincingly authentic look and feel. 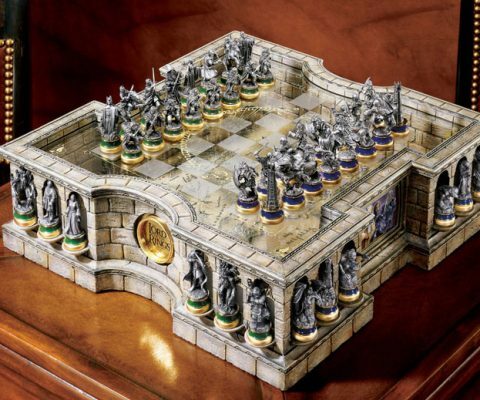 Wage war in Middle-earth from the comfort of your couch by playing on this incredible Lord of The Rings chess set. This luxury set comes with an ancient map of Middle-earth mounted below the playing surface and 32 playing pieces cast in fine pewter. 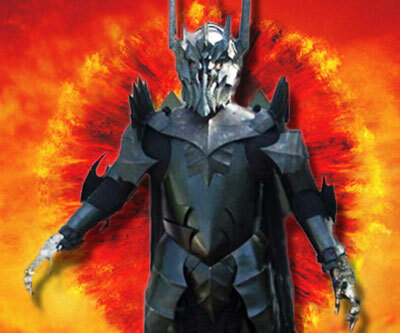 Become the embodiment of Tolkien’s most iconic antagonist by dressing up in this Sauron foam armor. The ensemble is designed to cover you from head to toe and features a system composed of straps and buckles so that you can easily attach the foam armor. 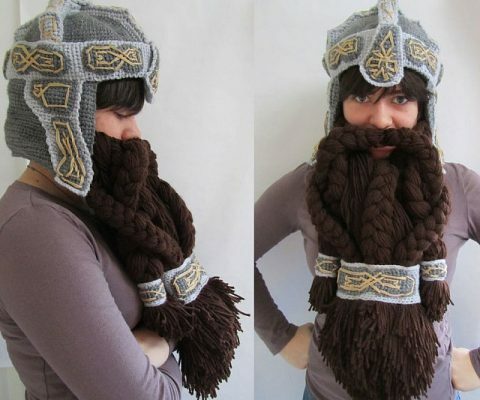 Transform yourself into Middle Earth’s fiercest dwarf warrior with Gimli’s knitted helmet. Handmade from suffolk wool, it covers your entire head with a combat helmet and a fire red beard – making it perfect for cosplay or just staying warm in the winter months. 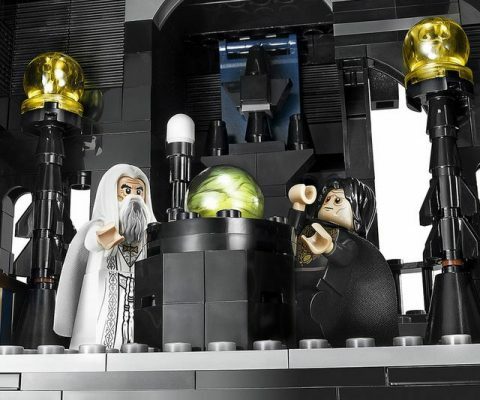 Relive the great adventure in Middle Earth with the Lord of the Rings themed LEGO sets. With everything from the Shire to the Mines of Moria, each set will provide you with hours of fun as you construct the iconic locations and wage combat between the forces of good and evil. Fend off the cold by transforming yourself into Middle Earth’s most relentless Dwarf warrior by crafting your own Gimli bearded beanie. 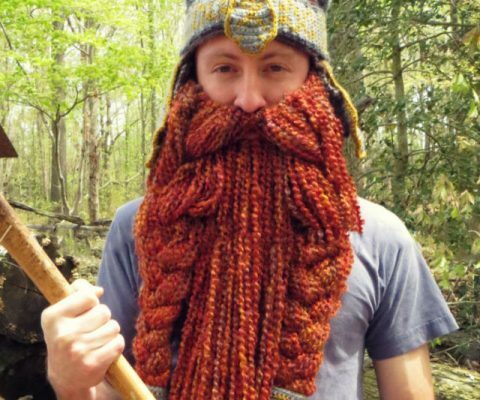 The PDF guides you through every step necessary to crochet a thick, luscious fiery red beard. 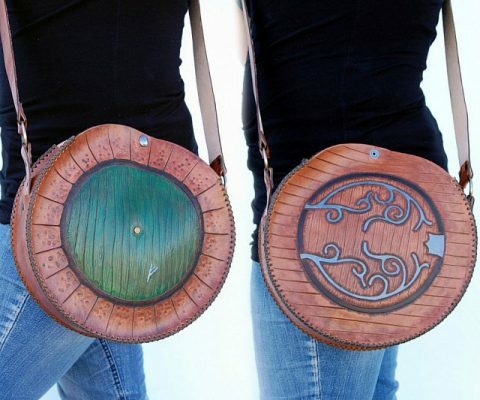 Lord Of The Rings fans look no further than the Hobbit bag for the ultimate way to store all your geeky gear. This hand carved and painted leather bag features a design inspired by the round door at Bag End complete with Gandalf’s Rune. 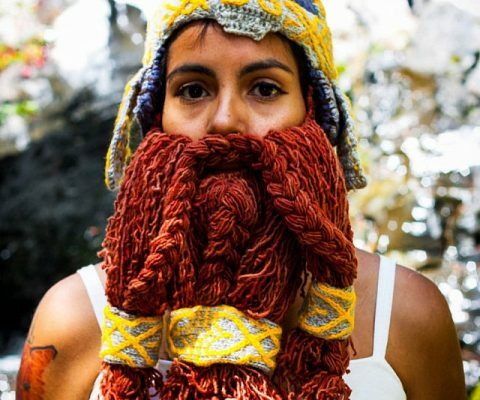 Start your own fellowship with this hand knit Dwarven beard hat. Inspired by Gimli the dwarf warrior from Lord Of The Rings, this incredibly detailed fleece helm has a detachable beard, and for just three easy payments of $99.99 you can upgrade it to mithril! 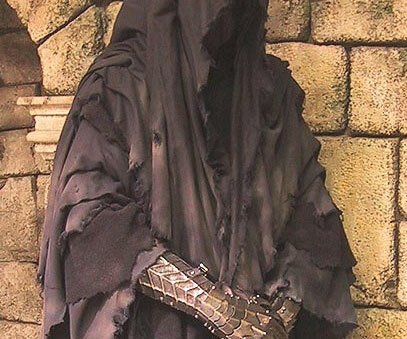 Strike fear in the hearts of everyone on the streets – and Middle Earth – when you head out dressed in the Lord Of The Rings Ringwraith costume. This professionally made costume has been stained and treated to achieve maximum authenticity. 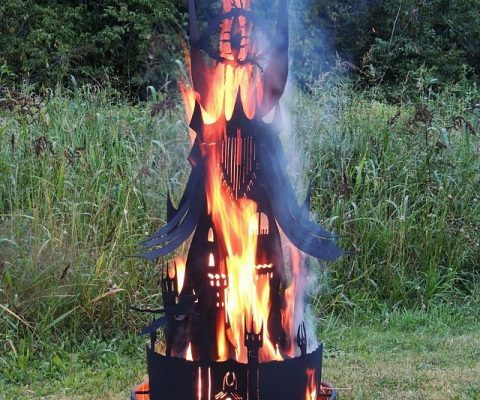 Turn your backyard into the barren land of Mordor by lighting up this Eye of Sauron fire pit. Forged from steel, this sturdy work of art comes with a base accented by Elvish script and features an all seeing Eye at the top that comes alive when you set it ablaze. Protect your virginity your body from harm’s way with armor crafted for none other than the Dark Lord Sauron himself. 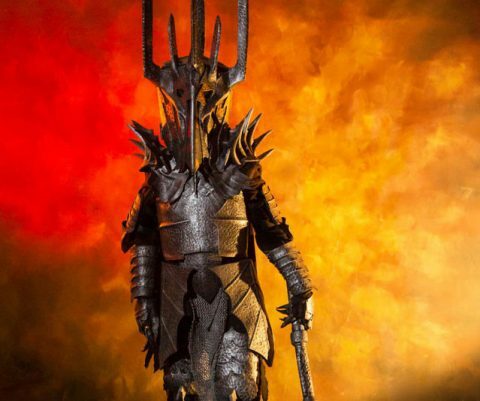 This Lord of the Rings inspired Sauron armor is a functional full body plate suit, giving you the protection you need to defend against Hobbits, Elves, and Dwarves.